If you’re interested in what I’m reading right now, check out my Goodreads widget on the right hand sidebar. 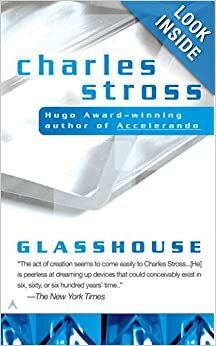 I’m currently featuring a mind-melting novel by the Hugo Award winning novelist, Charles Stross. This story will keep you guessing until the very last sentence as you try to unravel the mystery behind this science fiction epic. In a future where the mind is as transmutable as the body, trust is a rare commodity. Trying to recovery from his latest bout of voluntary memory erasure, Robin discovers that there are some who want to make sure he never remember his past. 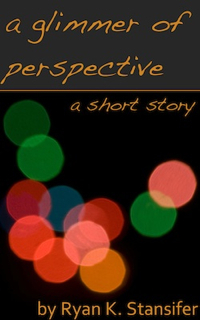 With only a short letter from his former self as his clues, he tries to find a better way to protect himself. Volunteering for a three-year experiment with randomized identities was the perfect way to escape the madness around him. It was a simple simulation of the “dark ages” of the twenty-first century. It sounded like a pleasant vacation. However, after taking the body of a middle-class housewife, Robin suspects that everything may not be as it seems. Now, with a dark conspiracy hovering just beyond her reach, Robin must uncover the secrets to the Glasshouse before all of humanity must pay the price.